Le Zoe Musings has given me so many opportunities to work with brands that I’m truly excited about and even more thrilled to be able to share them with you. One of my most recent collaborations is partnering with Graham & Brown as their Brand Ambassador! It’s such an honor to be part of the Brown family as their company has been around for almost seventy years. They specialize in designing and producing the most exquisite wallpapers in the world. Headquartered in East Lancashire England; Graham & Brown produces between 16 million and 17 million rolls of wallpaper a year! Click here to learn some fun facts about the company. 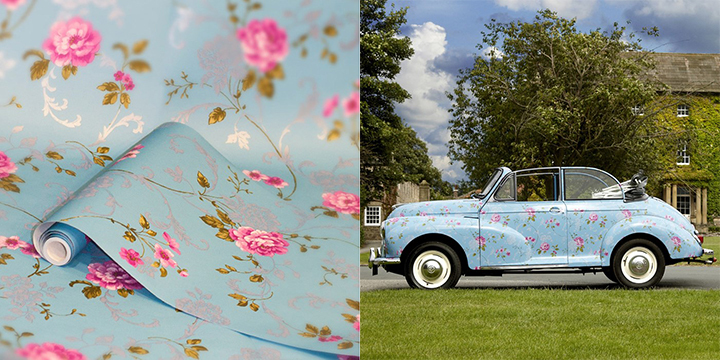 This month, the company is highlighting Northern Rose, a beautifully painted fresh design in vibrant pink and explosive blue with lush embellishments portraying British, vintage charm. 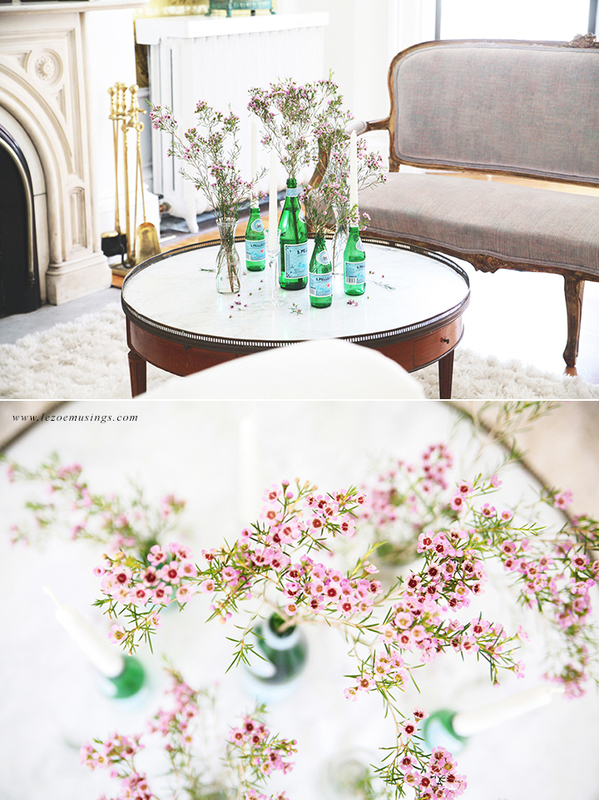 In honor of this month’s design, Northern Rose; I’ve created a coffee tablescape inspired by it. I wanted the colors from the design to be highlighted onto my coffee table decor. This includes pink, white, blue, and green. I like to change up my coffee table decor every so often. The last time was when I made silk floral arrangements as seen HERE. So with Northern Rose in mind, I wanted something delicate, feminine, lush, and fun. It was a challenge to find vases that were both green and blue. 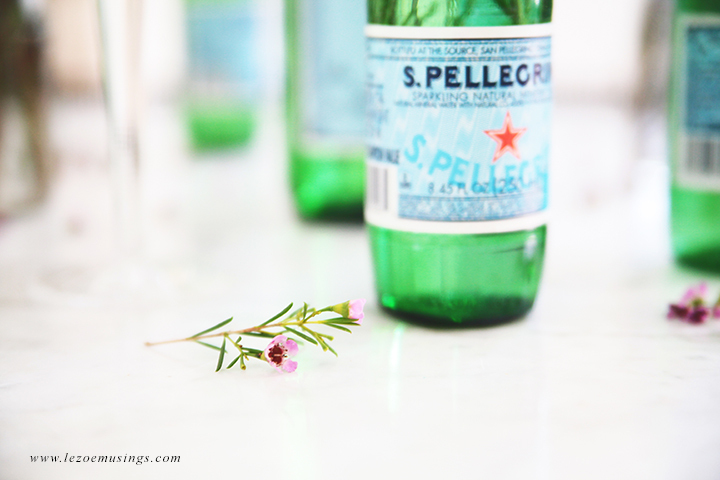 And then I remembered that the Pellegrino water bottles were just that- green and blue! I upcycled the empty bottles and converted them into vases and candle holders! How cute is this idea? 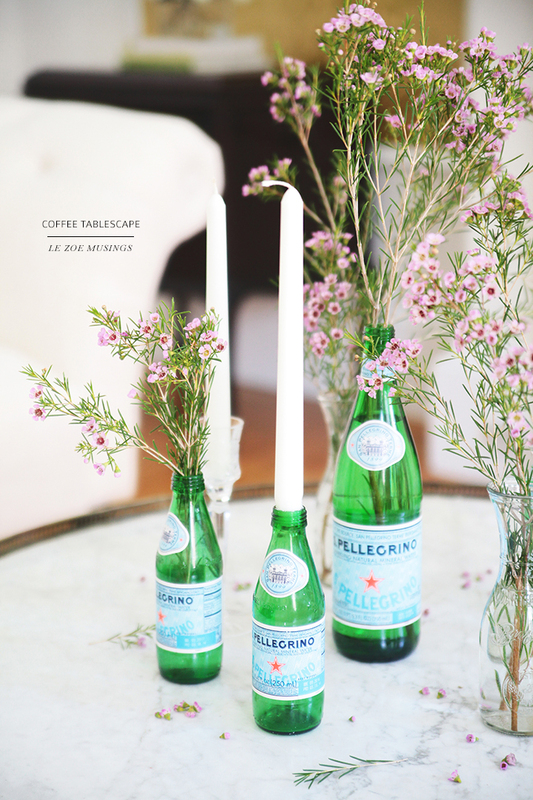 I’m definitely gonna make more candle holders with glass bottles (of all varieties) for outdoor summer entertaining. The clear vases are actually salad dressing jars that I’ve kept. They are just too darn cute to be tossed as you can see. Purely a collection of happiness! The cost of this makeover? Probably 10 bucks. The flowers came in a bunch at Whole Foods for $5. Candles were about $5. The “vases” didn’t cost me a dime because I’d already had them around. Hope you’ve enjoyed my interpretation of Northern Rose! Please visit Graham & Brown’s site HERE. Are you on Facebook? Would love to receive your like! Please visit LZM FB here. Thanks!! 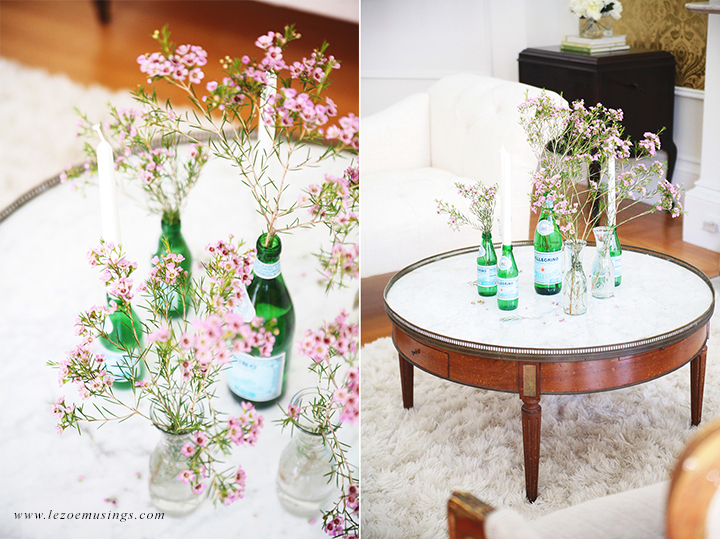 I love the idea of using Pellegrino (or other glass) bottles for decorating! 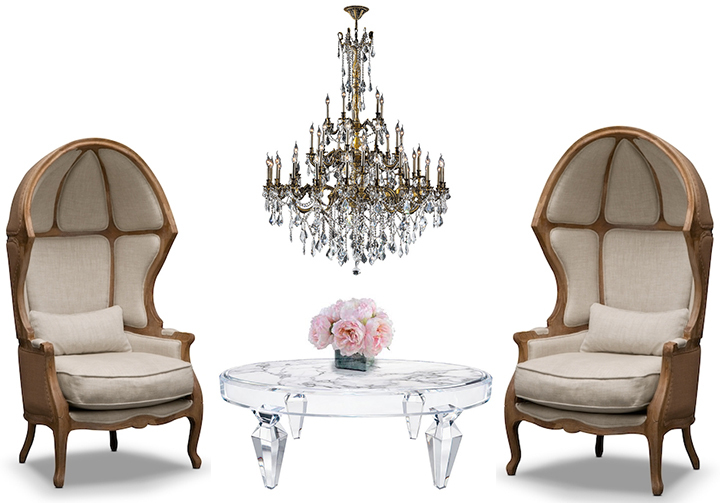 It lends such a fun air to a sophisticated décor! Water bottle for flower vase?! tres chic! That’s really cute! There were some old houses standing where our house is now, and we are constantly finding old glass bottles in the woods. I have put flowers in them before, but haven’t thought of candles. That would be beautiful on my back deck. Thanks for the inspiration! What a great idea. So simple and chic! I won’t be recycling my water bottles, great ideas. Thanks for sharing. So very very pretty!! I love how you would use the wallpaper with the furniture…Thanks for sharing! Fresh and delicately beautiful. Just love your style. Happy Mother’s Day to you!